Learn why Patreon is a great tool for both video creators and fans. Also, learn some tips how to use Patreon effectively. Three YouTube experts and VidCon veterans share their tips on how you, as a YouTube creator, can take advantage of YouTube conferences like VidCon to grow your channel and reach more people. Whether you’re just starting your channel and looking for inexpensive, quality suggestions, or you’ve been growing your channel for a while and are ready for a change, we have product suggestions and shooting tips that will be sure to make a huge difference in your video quality, performance, and audience’s response. 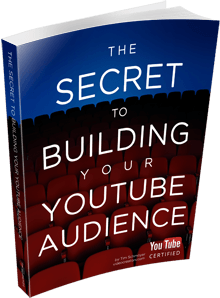 Two YouTube experts walk you through the 4 key pillars of growing a successful YouTube channel for viewers and subscribers. Even if you're a small YouTuber, it's possible to earn a full-time income from your subscribers. Tim shares his success story and principles that will help you earn money.